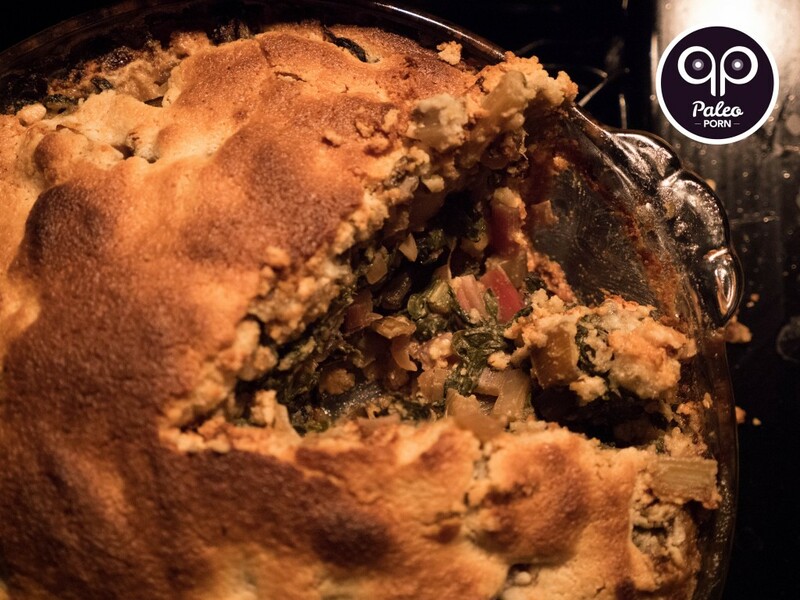 We started the first few weeks of our vegetable CSA with a heaping pile of Swiss chard so I decided to cook it all at once in this paleo pie. With all the fruit available during the summer, I’m sure you’re up to your eyeballs in possibilities for fruit pies. But have you considered making a savory pie? If you’re new to Swiss chard, give this recipe a try. It’s a great way to get those dark leafy greens on your menu. 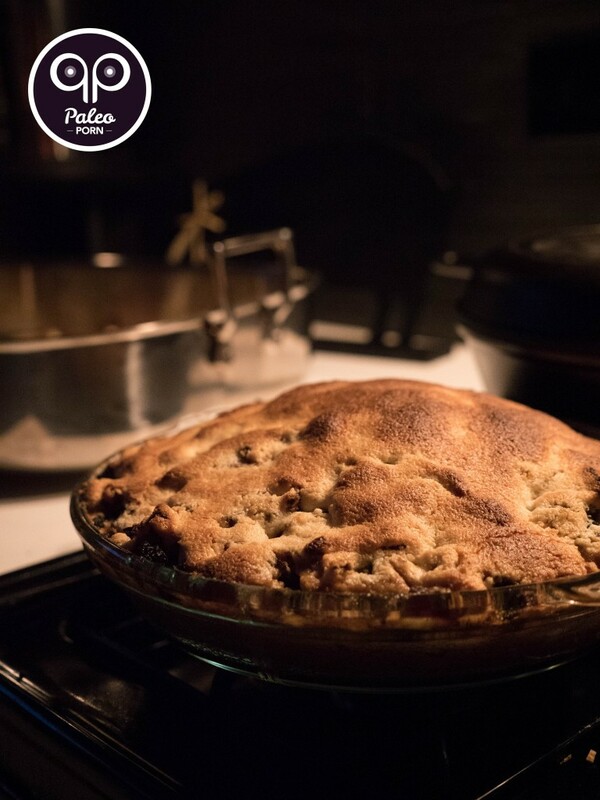 When To Serve Paleo Pie? This dish is quite versatile in that you can eat it any time of day. I prepared this at night and served it for dinner right out of the oven. You can store any leftovers in the fridge. It tastes great cold so you can even serve it as a grab-and-go Paleo breakfast. It’s easy enough to warm up which means it’s also convenient to pack for lunch. I’m not a fan of dishes that take a long time to prepare. 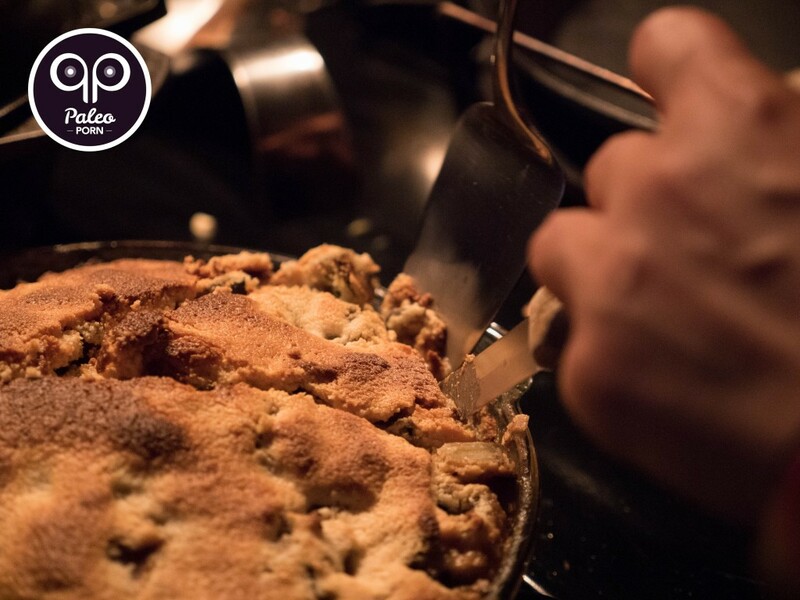 You might be a little taken aback while making the crust. After all, this is not your typical pie. All you have to do for the filling is chop up some veggies, stir them up in a skillet and voîla. You have one nutritious pie! 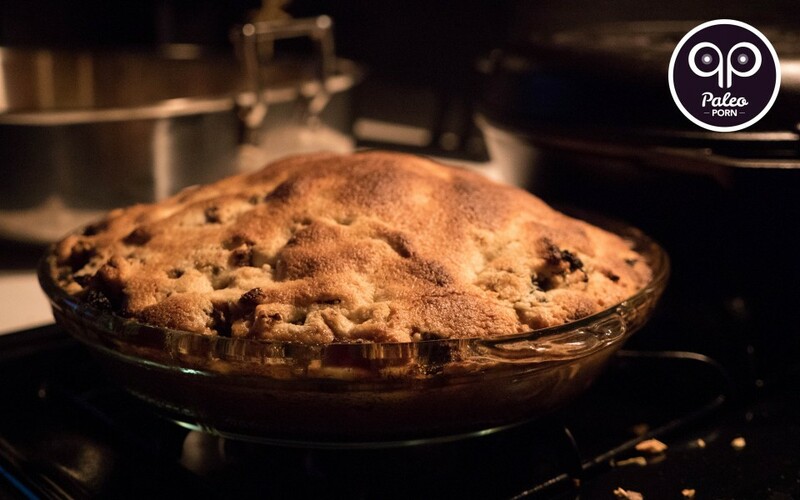 Spread half of the pie crust with a spoon into a 9-inch glass fluted pie dish. Be sure to make the crust level and spread it up the sides of the pan as well. Separate the stalks from the leaves on the Swiss chard. Chop the swiss chard leaves and reserve the stems, keeping the leaves and stems separate. Heat 1 tablespoon of lard in a 10.25-inch cast iron skillet over medium heat. Mince the chard stalks to the same size you cut the red onion. Add red onion, minced garlic and minced chard stalks to the skillet. Stir and sauté for ~10 minutes or until red onion is soft. Add Swiss chard leaves, season with sea salt and red pepper flakes and cover. Reduce heat to medium-low and allow greens to wilt, while covered, for 5-7 minutes. Remove lid and stir to combine until greens are wilted and ingredients are mixed. While the greens are cooking zest an entire lemon into a large mixing bowl and squeeze the juice into the bowl with the zest. Add a single egg yolk to the lemon juice along with almond flour and stir to combine. Drain liquid from chard mixture in the skillet. Be careful not to burn yourself on the steam. Add the chard to the lemon/egg mixture in the bowl and stir to combine. Pour the chard into the pie pan, pressing down on the ingredients so you have a nice large mound of swiss chard in your pie pan. Use a spoon to scoop the remaining pie crust from the food processor over the top of the greens. Transfer the pie pan to the oven and bake for 30 minutes. Remove pie from the oven, slice and serve.